Good morning friends! 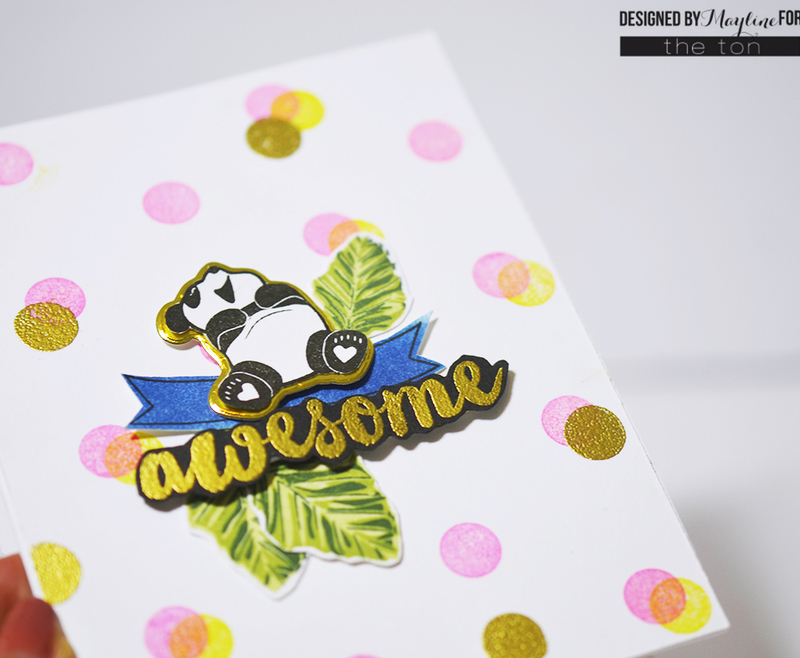 Mayline here today to share a fun panda card and a how-to video. I think I really love our Panda Can’t Even stamp set! I have made several cards using Panda Can’t Even stamp set and this time I used the laughing panda in the set. How cute is it? To create the background, I used our Polka Dots background stamp which debuted a few weeks ago. I used two different ink colors and some gold embossing powder. For the blue banner and leaves, I used from our Hey Foxy stamp set and Autumn Foliage stamp set. I love our new release Autumn Foliage stamp set because there are so many different types of leaves (different shapes and sizes). You can also build several layers. I love, love it! For the sentiment I used our Friggin Fabulous stamp set. LOVE your GOLDEN edged Panda, LOVE your LUSCIOUS layered leaves, LOVE your PRETTY polka dots, LOVE IT ALL!!! Such a cute fun card! Love the gold background for the adorable panda, ties in nicely with your gold polka dots. Beautiful card, love that autumn foilage set too!